How Far is Aakarshan Athena? A Home is more than just walls and ceilings. It's a place where dreams are dreamed, memories are made and where the passage of time is celebrated with the people you love. In more ways than one, your home is a place that reflects who you are the world, and is the place where you spend most of your non-working hours. Which is why, choosing the right home is important. 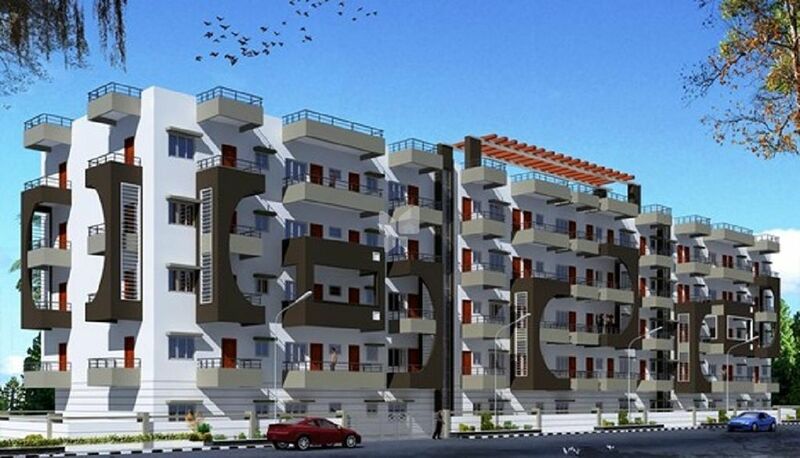 Aakarshan Athena has been specially conceived for people who want more from life and their homes. For that rare breed of dreamers and achievers for whom sood is not sood enough. All roofs slab by Ready mix concrete (RMC). All walls are built by solid cement concrete blocks. All internal walls are smoothly plastered with lime rendering and ceiling cornices in living and dining room. Interior: Oil bound distemper paint. Exterior: Exterior emulsion paint and textured paint at selective places. Superior quality vetrified/granite or any equivalent for all common areas, vetrified in bedrooms, living/dining areas and ceramic tiles at kitchen, and toilets. All main doors frames are of Moulded doors/teakwood, shutters are of teak/Melamine polished HDF Moulded and other door frames are of hard wood with Commercial Flush Shutters. Powder coated Aluminium Glazed sliding shutters. One TV Point and telephone point each in the living room, Fire resistant electrical wires of anchor/Finolex make. Elegant, Modular electrical switches of roma/Equivalent. For Safety, one earth leakage circuit breaker (ELCB) for each flat provided at the main distribution box and one AC point in Master bedroom. Polished black granite for cooking platform with sink, glazed tiles above the platform. All water lines are of cpvc with fittings. One white coloured wash basin. Cermic flooring for all bath rooms and dadoing upto 7 Feet, Hot and cold water mixer unit of ESS/Equivalent make. Aakarshan Holdings is a Bangalore based construction company, initiated with a strong belief in delivering 'Comfortable Living Spaces'. Our business philosophy lies in the commitment to create quality building through innovation and knowledge with customer satisfaction as our primary goal.